The International Kundalini Yoga Teachers Association (IKYTA) is the ever-evolving body of KRI-Certified Kundalini Yoga teachers worldwide. 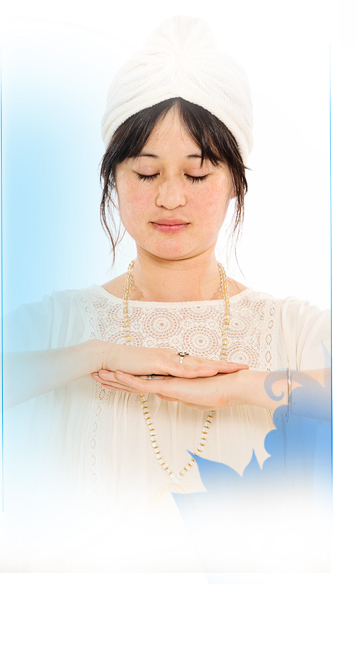 The purpose of IKYTA is to serve the consciousness, professionalism, and unity as Kundalini Yoga Teachers. IKYTA provides benefits, programs, and a structure to support networking and building Aquarian community and unity through teaching, practicing and sharing Kundalini Yoga and Meditation as taught by Yogi Bhajan®. Yogi Bhajan founded the International Kundalini Yoga Teachers Association in 1994, on the 25th anniversary of 3HO. He said, “It is very fortunate you have this Association. When I’ll be physically gone, search me out spiritually. You’ll need to sit together to do it." When Yogi Bhajan first heard the acronym IKYTA, he pronounced it “ik-ta,” and said, “Perfect, it means Oneness.” Yogi Bhajan said there was one IKYTA and that all teachers belonged to it, and that "the fundamental principle of Kundalini Yoga is to Unite.” He saw the National Associations as key parts of the one IKYTA. He stated that IKYTA belonged to all teachers and was a place of inclusion for all teachers. IKYTA is part of 3HO Foundation International which is devoted to inspiring everyone, everywhere to live a Healthy, Happy, and Holy life through the Teachings of Yogi Bhajan. 3HO hosts four main events each year: Summer Solstice, Winter Solstice, International Women's Camp and Khalsa Youth Camp. People come together from around the world to experience the 3HO lifestyle based on the teachings of Yogi Bhajan. These events inspire and fortify the spirit so we can “keep up” throughout the year. 3HO is a vast resource for the lifestyle and teachings of Kundalini Yoga as taught by Yogi Bhajan. You can request a Spiritual Name, get your Tantric Numerology Reading, and stay immersed in learning with our Yogic Living Newsletter, Kundalini Yoga Kriyas and Meditations, Products, Lifestyle Information and Blogs. We look forward to serving you in your journey towards a Healthy, Happy and Holy life.